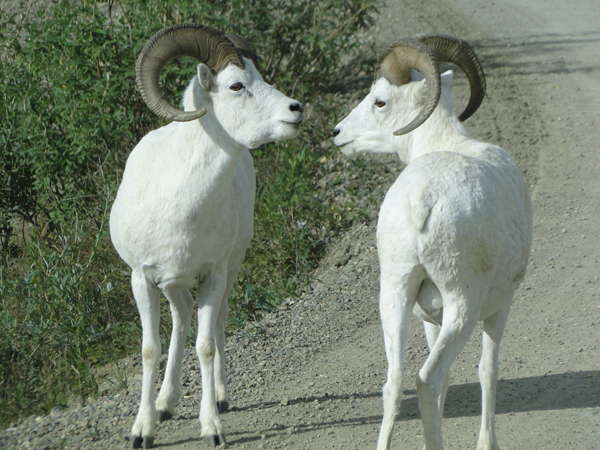 Cast your vote for our 2010 Photo Contest Winner! 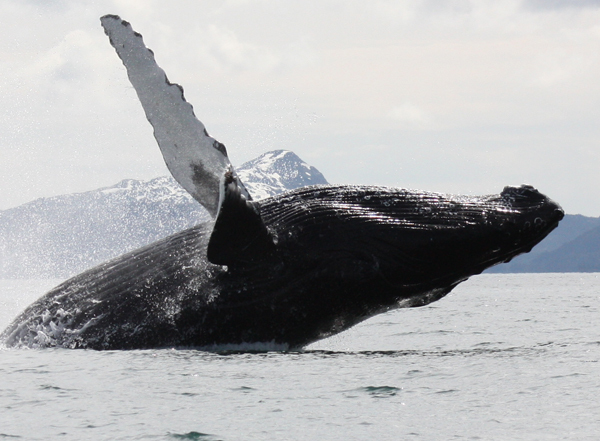 Vote now for the winner of our 2010 Alaska photo contest! Post a comment below with the number of your favorite photo! You must include your email address and only one vote is allowed per person. Votes will be accepted through November 30th at 3:00 pm PT. Check back on December 1st to find out who won our 2010 photo contest and a $100 Princess Lodges certificate! 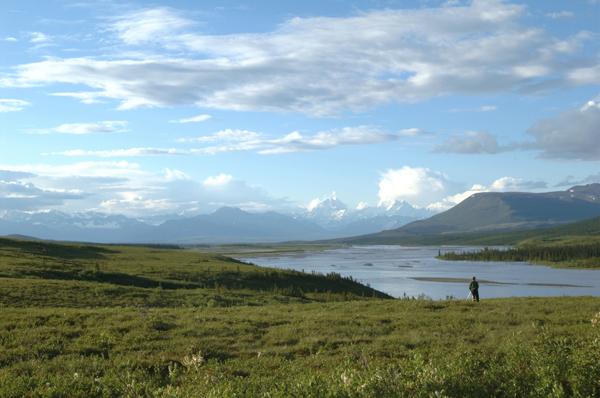 A hiker stops to take a photograph at the McClaren River on the Denali Highway in interior Alaska on a June evening about 10 p.m. Prince William Sound Whale: we were outside of Whittier for some fishing.. About mid-day we noticed this whale breaching.. the best catch of the day! 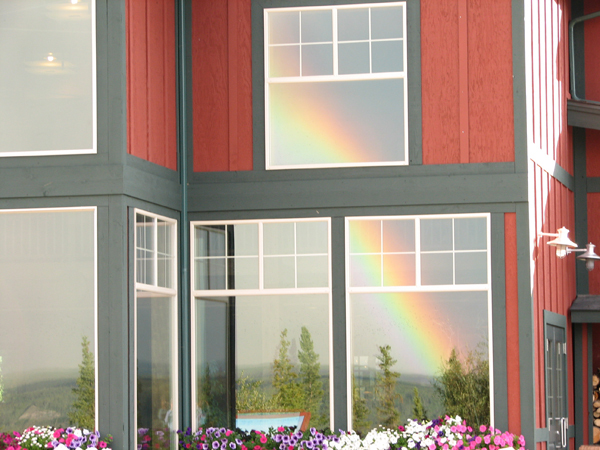 Reflected Rainbow - I was madly taking pictures of an after-dinner rainbow when I decided to turn around and catch its reflection in the lodge windows. 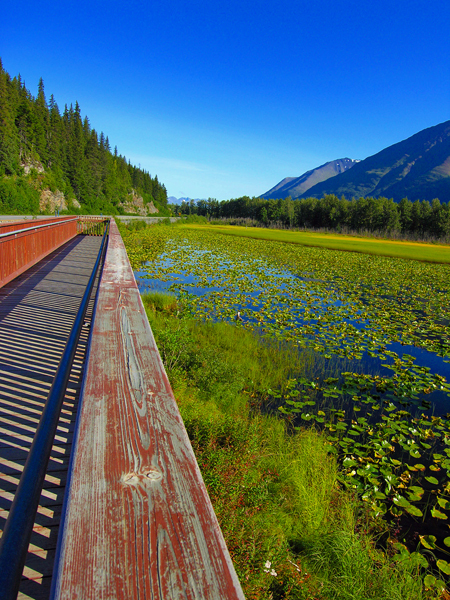 Taken while I was walking around Taku Lake in Anchorage. 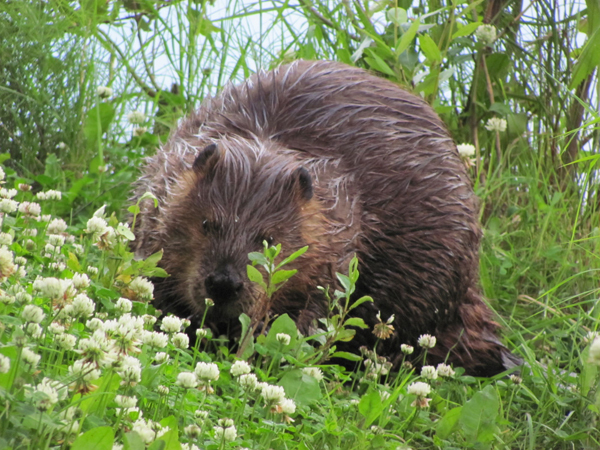 This beaver posed nicely for me. 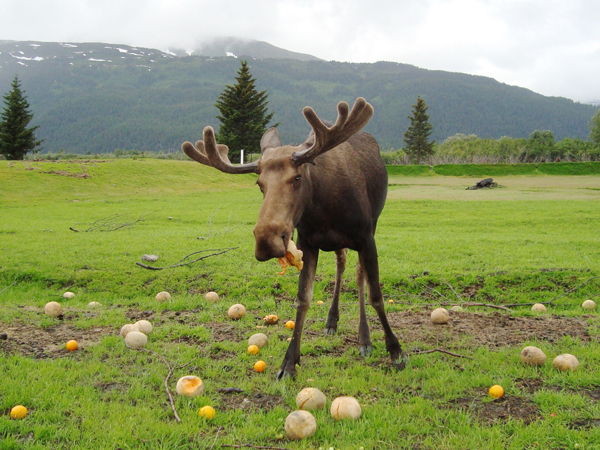 Moose with Attitude - I have always liked moose--and this one really seems to have the appropriate personality... plus a taste for cantaloupe. 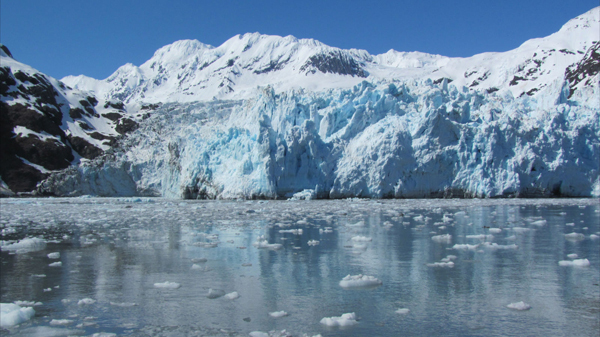 A friend and I took a day cruise from Whittier where we were able to get close to Surprise Glacier which is 17 miles long, 1/2 mile wide and 359 feet high. 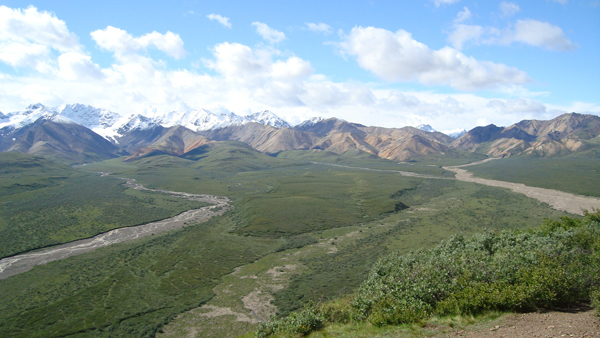 Polychrome Pass Panorama - We were lucky on our Denali bus trip--spotting bear, caribou, moose, Dall sheep, wolves (in the distance) , and roughly half of Denali.